In just a short few years, Wagyumafia has build a cult following in Tokyo thanks to its exclusivity and high-quality beef. Founded by Chef Hisato Hamada and internet entrepreneur Takafumi Horie, the restaurant in Tokyo started as a series of private dinners that bloomed in popularity to become a members-only restaurant group. 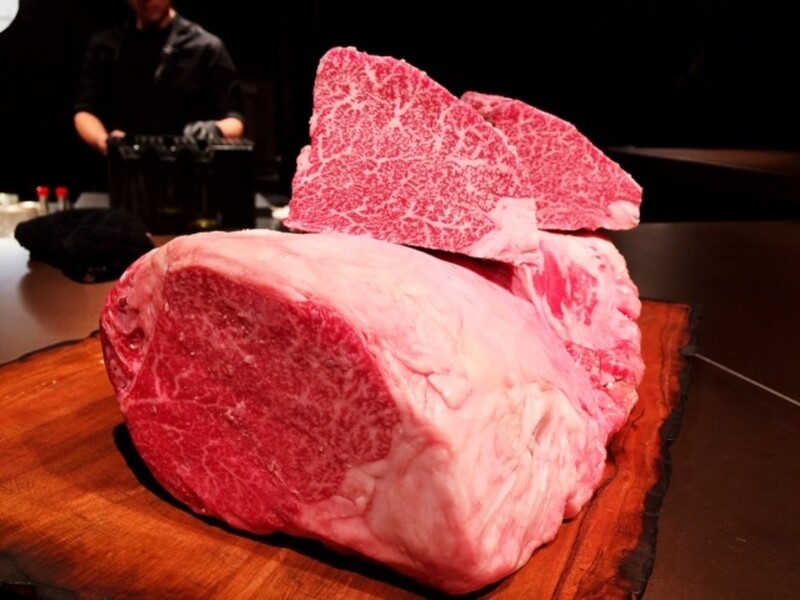 Featuring beef of the finest quality, Wagyumafia purchases entire cows from the top one percent of Kobe beef stock and processes the animals in the restaurant group’s butchery, a method of maximising use of the whole animal and minimising waste. 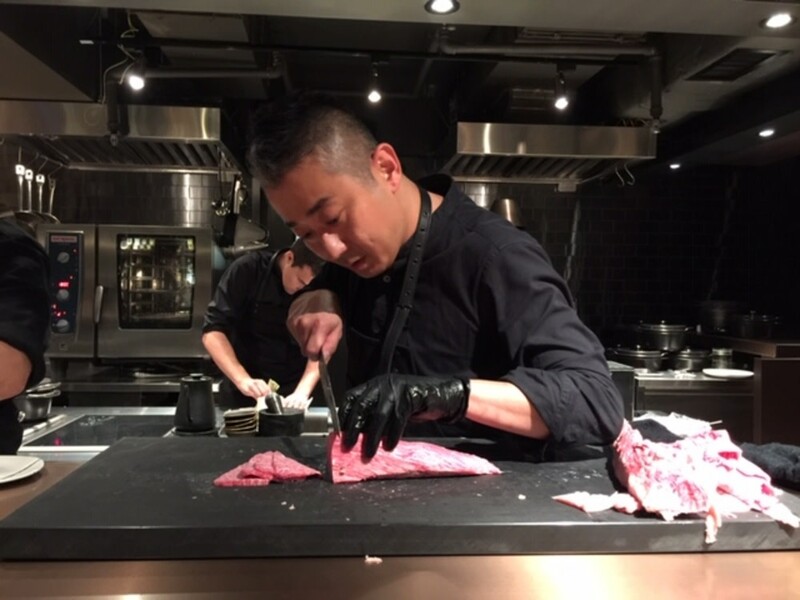 During our media preview with Hamada-san, he started off by “polishing” the meat, essentially trimming away the excess fat. The chateaubriand, the most prized part of the tenderloin, coveted for its tenderness as well as its flavour, weighs approximately 400–500 grams. To put things into perspective, an entire cow weighs roughly 800 kilograms! It is this precious cut that makes up the famous Wagyu chateaubriand cutlet sandwich, with each sandwich using at least 100 grams of the pricey meat. 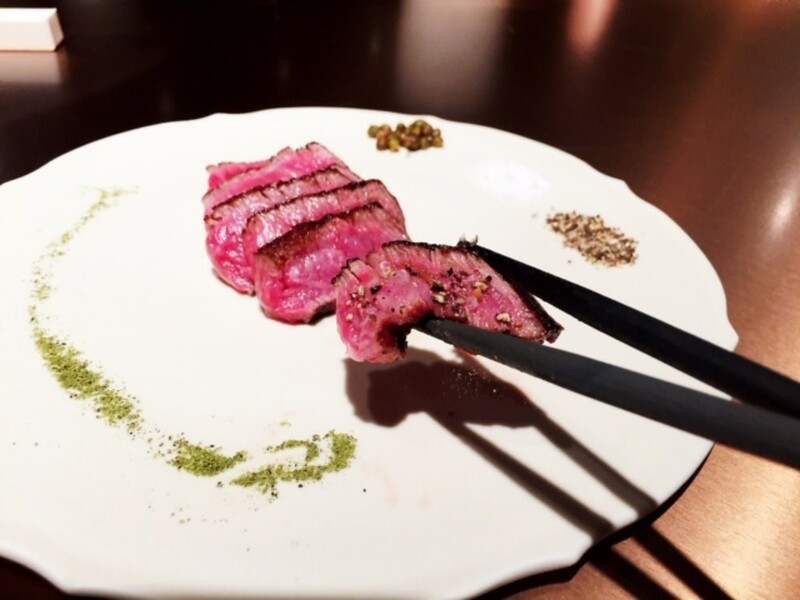 According to Hamada-san, high-quality beef has a low melting temperature, and its true aroma is unveiled in the aftertaste rather than the initial contact. Hence, our first course was beef sashimi served with freshly grated wasabi and soy sauce, based on a recipe with hundreds of years of history, in order to fully appreciate the delicate, balanced flavour of the meat. Hamada-san’s version of gyoza is filled with three to four different cuts of the prized beef. 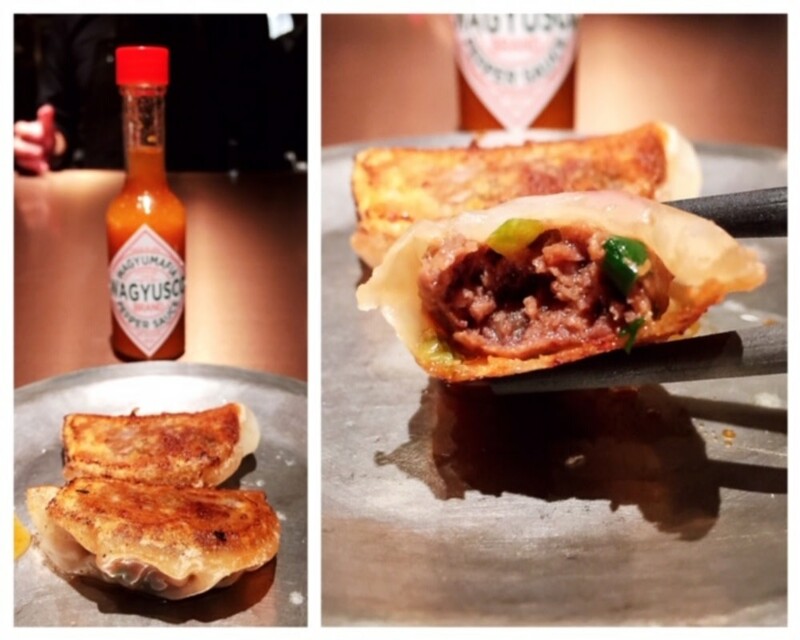 A unique “Wagyusco” sauce, made by Wagyumafia and packaged as a quirky play on the classic Tabasco bottle, accompanies the gyoza. The dipping sauce was tangy with a citrusy, spicy undertone. 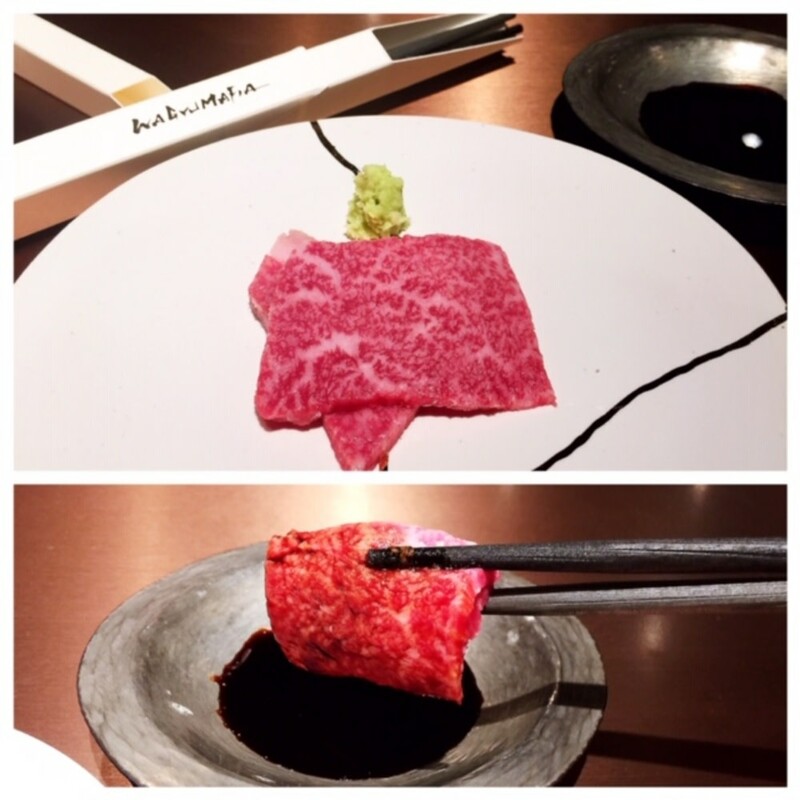 We usually think of shabu-shabu as thin wafers of meat, but Wagyumafia’s version is a thick slice of marbled tenderloin as tender as a marshmallow, dressed in citrus zest and ponzu. Grilled rib-eye with a nutty, caramelised crust. All the meat at the restaurant is grilled over binchotan charcoal to maximise the flavour, with the smoke created from the fat dripping on the charcoal enveloping the meat in a delicious, savoury aroma. 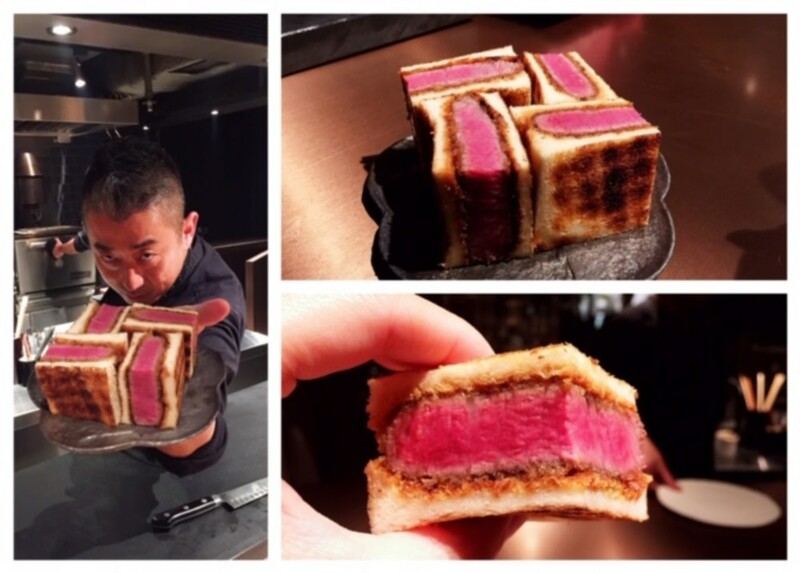 A JOSPER grill is used to toast the milk bread in Wagyumafia’s famous Wagyu chateaubriand cutlet sandwich. Thirteen ingredients are used on top of the aged soy sauce to create the sarnie’s katsu sauce. 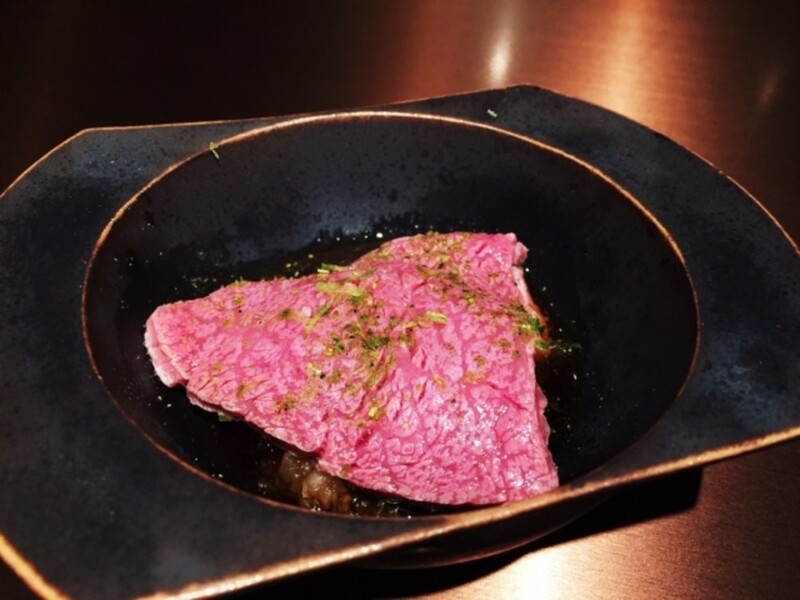 The chateaubriand was grilled to a rosy blush and served alongside coarse black pepper, salt and both pickled sansho and dried sansho pepper. Even the ice cream has Wagyu in it! 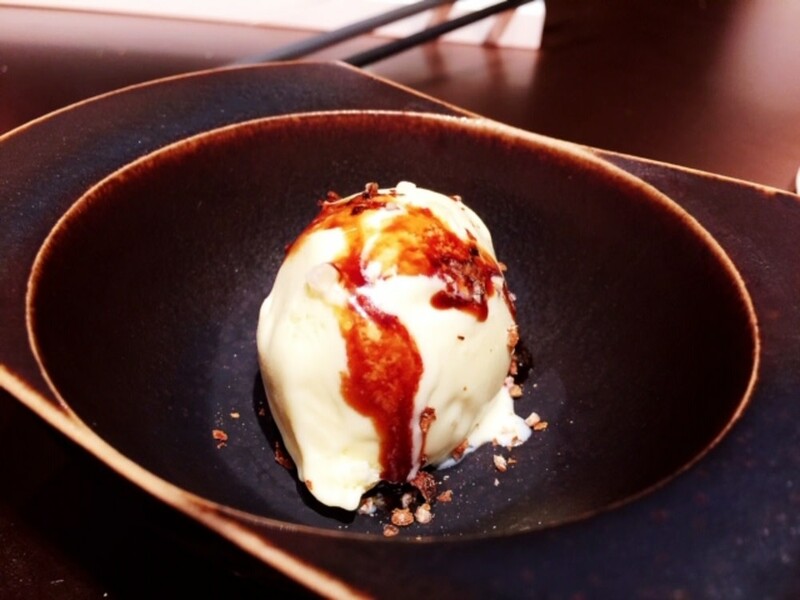 Part of the fat in the dessert comes from the leftover fat distilled from the fat-washed bourbon used to make cocktails, so the ice cream has both a hint of bourbon and a nutty, meaty flavour. Soy sauce, sea salt and course black pepper accompany this interesting dessert. 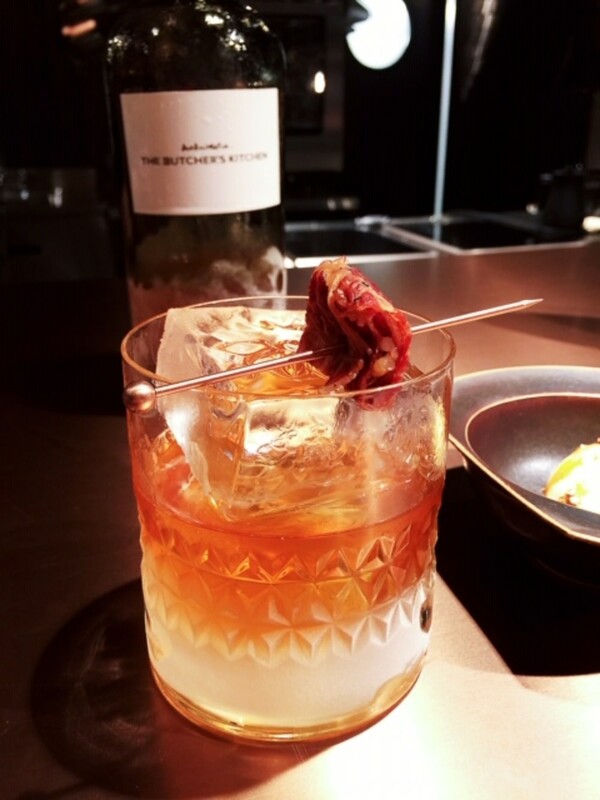 Old-fashioned cocktail made with bourbon fat washed with Wagyu trimmings. This drink was a lot sweeter than we expected, due to the beef fat. 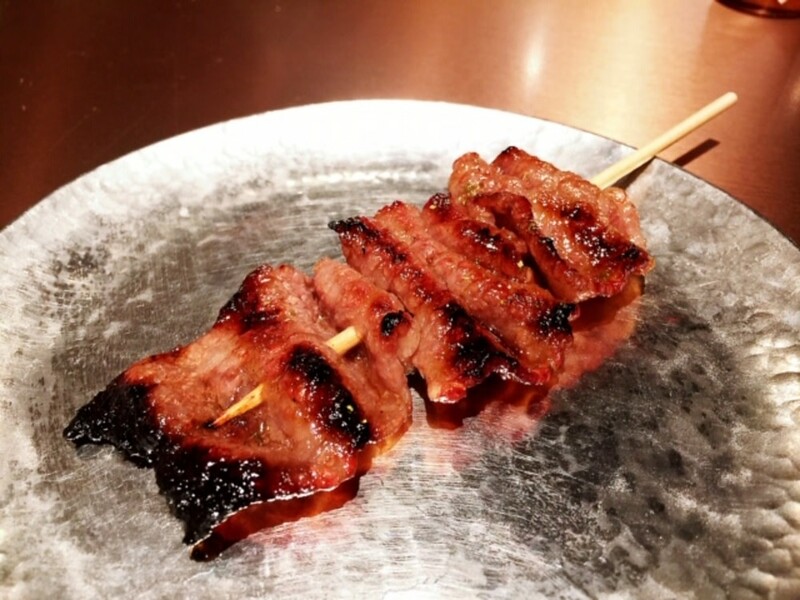 Wagyumafia Hong Kong is tucked away in a small alleyway behind Oi Kwan Road, where the old Catalunya once stood. There’s only a small illuminated sign marking the restaurant, and the compact, open-kitchened venue can host just 18 guests around its wrap-around bar setting. Members-only bookings are open now via Tock. You’ll need to shell out $1,000 for membership, with the membership quota limited to 300 people. Come January 2019, the restaurant opens to the public, although members still get priority bookings, invitations to exclusive events, special seasonal menus and the option to purchase prized cuts from the butchery. Expect to pay $2,000+ per person for a 10–12 course dinner here.